Sitting now in the empty staff room of my high school, I have just finished Bruce Chatwin’s On The Black Hill. I picked it up in a used foreign-language book store in Kyoto several weeks ago and have since then been consuming it reguarly with the same kind of avid attention one might give to a good cup of tea. 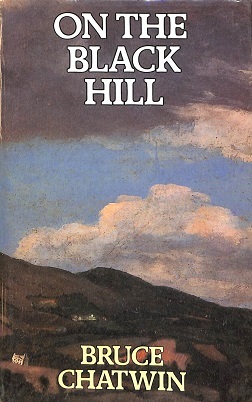 I was able to soar through the final seventy-or-so pages that remained and I can say that On the Black Hill is one of the best works of fiction I have read in some time. Once upon a time… from Capucha on Vimeo. Seventeen hours of driving can carve quite a chunk out of a read-aloud project, but with our move to Japan and starting new jobs, it took six months to wade through the jungle of Marquez’s magical but viney prose. We finished it last night. We’d had about 40 pages to go for weeks. Emmett and I started the book in July on a road trip from San Antonio to Nashville, on our way to our wedding reception in Emmett’s hometown. Last night I read to Emmett as he cooked dinner. When we paused to eat, he noted how fitting it was that we’ve taken so long to finish the book because the story expands over at least 6 decades and deals so heavily in time and endurance. We finished reading later in bed and let out the deep sighs of perfect endings. I was tempted to say that I liked this book better than One Hundred Years of Solitude. But the two are not nearly the same. One Hundred Years is a history, a family story. Cholera is about the lifespan and love of just two people, from the near beginning to the near end of their lives. The topics are handled so differently, I decided to abandon thoughts of which might be better. 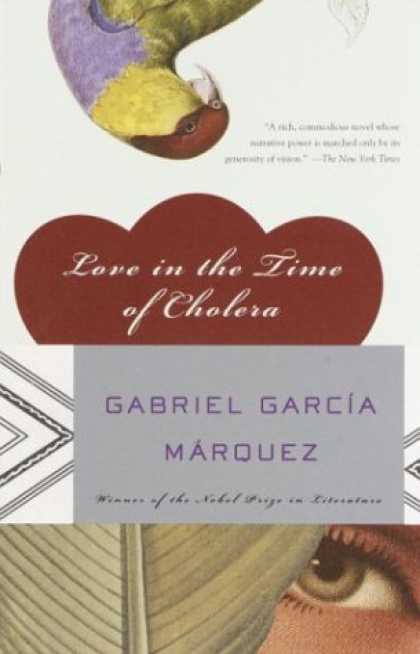 In Cholera, Marquez tells a gritty and uncomfortable love story whose characters shift from protagonist to antagonist and back again. The novel, like its title, juxtaposes two contrary ideas, euphoric love and gruesome illness. We are unable to distinguish the two in the thick of the story, but in time, we slowly come to our senses. This is always my experience with magical realism. It starts out in exaggeration, becomes fat bellied with sparkles and lunacy, and then sobers up to pull off a careful and hard won peace. Magical realism is a genre that goes hand in hand with Latin American folklore and myth. Marquez’s narrators tell stories earnestly, but the details are otherworldly. The acceptance of magical events as extraordinary but not impossible helps us recognize the more magical gifts of our own reality, a good lesson in gratitude and present-mindedness. One of the most mysteriously described scenes in One Hundred Years is the precious first chapter wherein gypsies come into port bearing enormous diamonds of bitterly cold heat whose name is not written until the last word: ice. As for Cholera, it does not read as much like a legend in which fantastical events are accepted as truths, but rather treads carefully on the softer-glowing edges and mysteriously won battles of love. *Note from TigerSpider: Read the book, skip the movie. Dispite featuring the glorious Javier Bardem, we do not Ω the movie. Not one bit.